New Jersey serves as a bedroom community for Manhattan employees, a landing spot for many international corporations, an agricultural producer, and an Atlantic Coast resort mecca. With its rich cultural history and diversity, metropolitan flair, and unique brand of personality, New Jersey is a great place to live and teach. New Jersey student scores are among the highest in the nation; however, the state also has the ninth-largest achievement gap in the country. Therefore, state educators are anxious to hire fresh new, bright, passionate, and effective teachers to help bridge that gap—and you could be one of them. What are some of the benefits of becoming a teacher in New Jersey? How do I become a teacher in New Jersey? Again, if one looks strictly at national standardized test scores, New Jersey stands pretty tall. The state’s 2011 National Assessment of Educational Progress (NAEP) scores were in the top 10 in the areas of math, reading, and writing, for all grade levels tested. In addition, New Jersey was ranked first in nation by Education State Rankings 2011-2012. However, the disparity between middle- and upper-class suburban test scores and those scores of students in the state’s 200 failing urban schools has not gone unnoticed. Governor Chris Christie has made it a primary goal to reform education, especially in these failing schools. One of the most significant education reforms broached in 2012 concerns the tenure system. Several bills were introduced, all with the goal of adopting a teacher evaluation system that rewards merit over seniority. The idea of pay for performance is also included in these bills, which would provide additional incentives for high-performing teachers. The current firing process for tenured teachers is lengthy and expensive in New Jersey; many times, the deciding board determines that a censure of pay or other disciplinary measure, rather than termination, is appropriate—which many districts, and parents, find to be unacceptable. School districts have had to spend as much as $200,000 to expel extraordinarily bad teachers; recent examples have included a teacher who cursed and yelled at an autistic boy, and another using “the n-word” in reference to students —on tape. Another striking example is the city of Paterson’s “excess teacher pool.” Approximately 80 teachers have been deemed so inadequate that no principal in the district will employ them; however, they remain on the payroll because union rules prohibit them from being fired. These, and other examples, fuel the current debate over tenure and pay for performance. Other education-reform issues championed by Governor Christie include expanding the charter-school system, and offering vouchers to students so they can attend the private or public school of their choice. It is believed that these measures would introduce competition within the state education system, and provide students the opportunity to get out of failing schools and into environments where they can flourish. 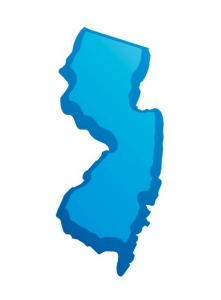 New Jersey has 9,800 farms, and 790,000 acres of farmland. Agriculture is an $82 billion industry in New Jersey. The state features 100 different kinds of fruits and vegetables on the commercial market. New Jersey is the second-largest producer of blueberries in the U.S.; the third-largest producer of cranberries and spinach; and fourth-largest in production of bell peppers, peaches, and head lettuce. Again, New Jersey has many failing schools in its inner-city areas, but this could present huge opportunities for teachers who love a good challenge. Teachers who sign teaching contracts at these schools may be able to negotiate contract-signing bonuses, incentive pay for performance, and loan forgiveness. There are also a number of loan-forgiveness programs available at the federal and state levels—and having a student loan paid off can provide significant relief to a teacher’s budget. New Jersey teachers enjoy some of the best benefits in the United States. There is tremendous job security—although as noted earlier, perhaps a bit too tremendous; higher than average salaries (see above); exceptional retirement and pension benefits; strong health, dental, and life insurance plans; and paid professional development seminars. Teachers may benefit by joining the New Jersey Education Association, which protects the rights of teachers, and negotiates with lawmakers and the New Jersey Board of Education to ensure teacher salaries, working conditions, education resources, and other benefits. Teachers receive retirement benefits from the Teachers’ Pension and Annuity Fund, as negotiated by the School Employees Health Benefits Commission. Several other New Jersey organizations (see below) are also devoted to teacher development, and to providing educational resources for New Jersey teachers. These organizations often publish and discuss research on teaching programs and techniques, and may also offer classroom activities and curriculum supplements. A teacher must hold a bachelor’s degree with a minimum 2.75 or 2.5 GPA, depending on the program, in order to get a New Jersey teaching certificate. A minimum of 30 to 45 credit hours in the field being taught must also be completed. Either after receiving an undergraduate degree or concurrently, a teacher preparation program must be completed (find New Jersey teacher preparation programs). Subject area knowledge must also be proven by passing a Praxis II exam. Prospective teachers may have to obtain other certifications, depending on their subject matter or specialization. There are also alternative routes to becoming a teacher in New Jersey, for those who already hold bachelor’s degrees, have significant professional experience, or hold a teaching certificate from another state. For additional information on how to become a teacher in New Jersey, visit the New Jersey teaching certification website.